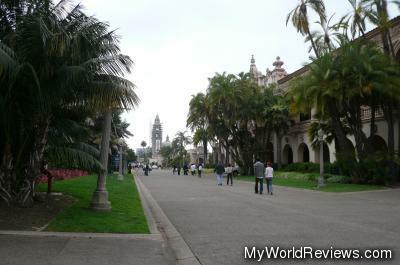 Balboa Park is a large area that contains a number of museums and other attractions, such as The San Diego Science Center and The San Diego Zoo. The area seemed to be popular with tourists and children on school trips. The park also had some small gardens and fountains. It looked like a nice place to walk around and see the various things to see. We didn't find any good looking restaurants inside the park, so if you're going for a meal, it's probably better to eat outside the park. There is a small Banyan tree inside the park - it is a tree that drops roots down from its upper branches. After reaching the ground, they can grow thicker, and appear as new "trunks". The banyan tree inside Balboa Park is quite small, but it is still neat to see (if you haven't seen one before). 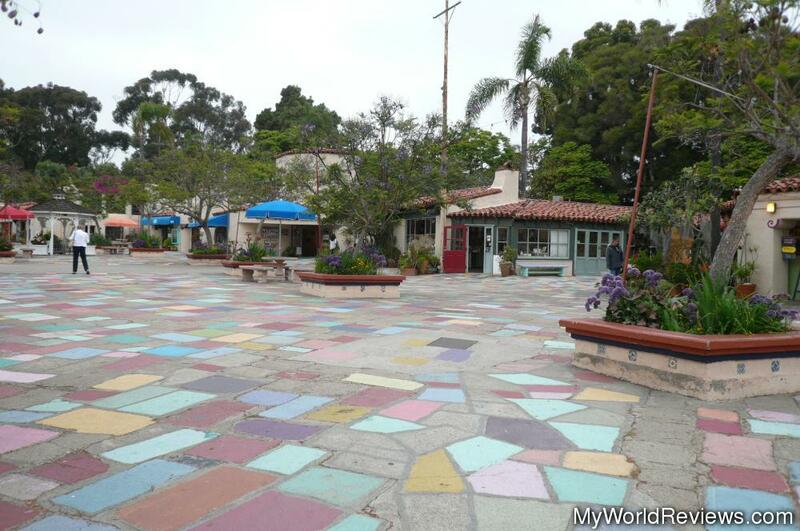 There are a few gardens to visit in the park, but more likely, you would go here to visit some of the attractions in various locations inside the park area. There are a number of free parking lots inside the park. Been here? Want to write your own review of this attraction?